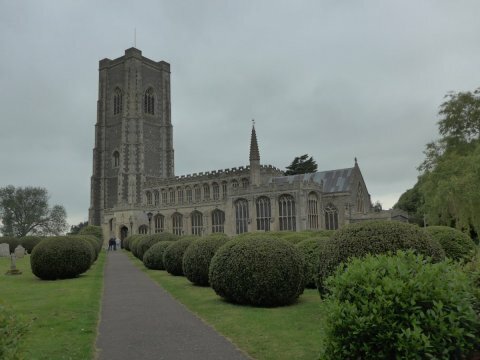 In the fifteenth and sixteenth centuries, the wool trade made Suffolk a very wealthy county, and many who had profitted from the trade became donors to their local church. 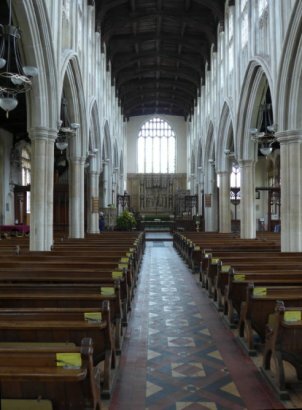 Some of the these churches are among the very finest in England. 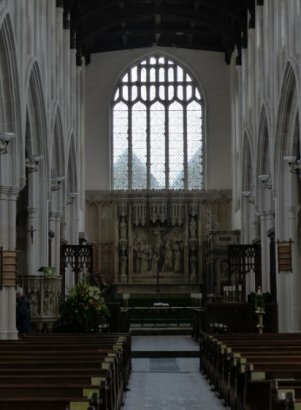 In our visit to Suffolk we visited many of them, but I will focus on just three here: the church of St Peter and St Paul, Lavenham, Holy Trinity, Long Melford, and St Mary's, Bury St Edmunds. 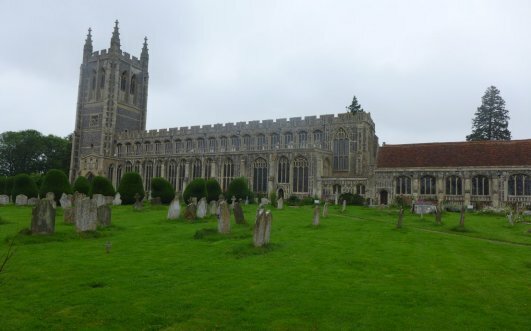 Then on to a very different church: St Andrew's Greensted, Essex, which claims to be the oldest wooden church still standing in the world. 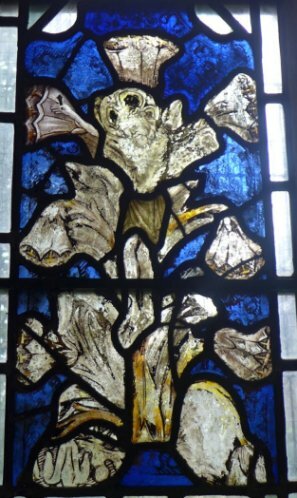 Although dating from Anglo-Saxon times, what you see today dates from the major reconstruction c1500. 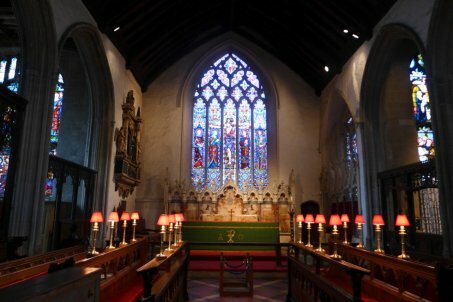 It is regarded as one of the finest late perpendicular style churches in England, if not the finest. Its tower is claimed to be the highest of any parish church in England. 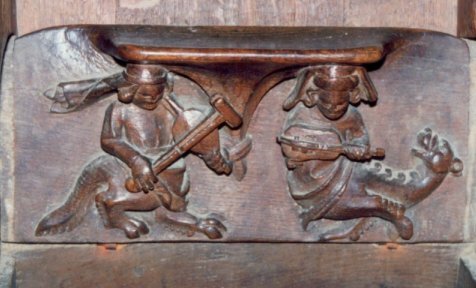 The rood screen dates from c1340. 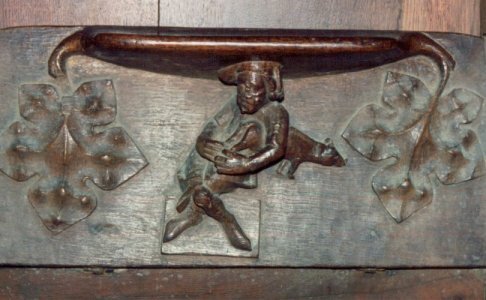 A quirky feature of the church is the carved misericords, full of medieval humour. 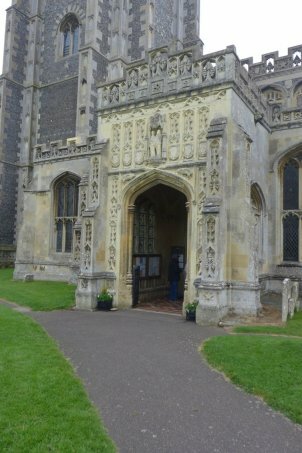 Another fine wool church, rebuilt in late perpendicular style between 1470 and 1497. 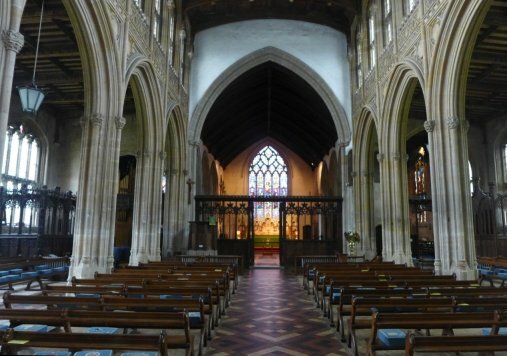 It claims to have the longest nave of any parish church in England, but no-one seems to be able to say for certain whether that (or any of the other claims about relative size made by Suffolk churches) is true or not. 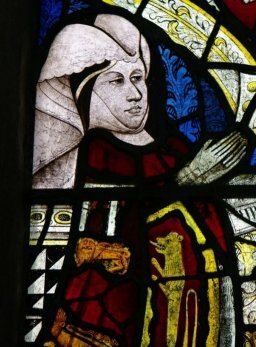 There is some particularly interesting stained glass at Long Melford, including these two rare images. 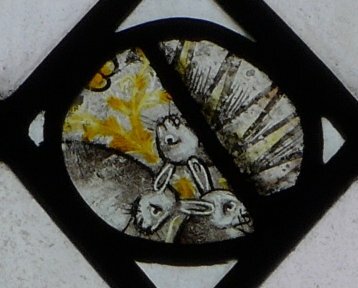 The three hares have only three ears between them, yet they appear to have two each. 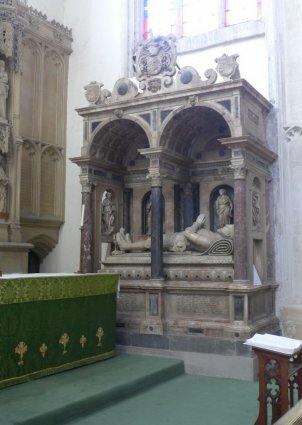 This is said to represent the Holy Trinity, the dedication of the church. A version of the image has been found in a sixth-century Buddhist cave in China. 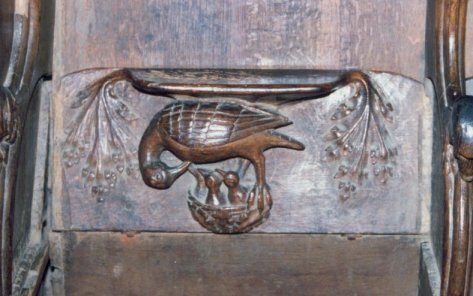 The Lily Cross is another highly unusual image; there are only half a dozen or so examples in various forms - wall paintings, carving - in the U.K. 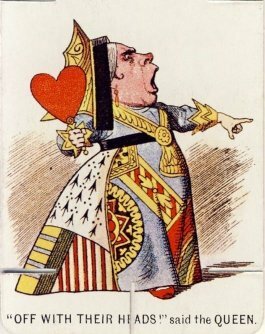 Finally, an image of Elizabeth de Mowbray, Duchess of Norfolk, said to be the inspiration for Tenniel's depiction of the Queen of Hearts in Alice in Wonderland. Off with their heads!